Readings should include seminal and more modern classic works by Lynda Barry, Alison Bechdel, Charles Burns, R. Crumb, Neil Gaiman, Bernie Krigstein, Frank Miller, Alan Moore, Harvey Pekar, Joe Sacco, Art Spiegelman, Chris Ware, and others (including selected Manga). 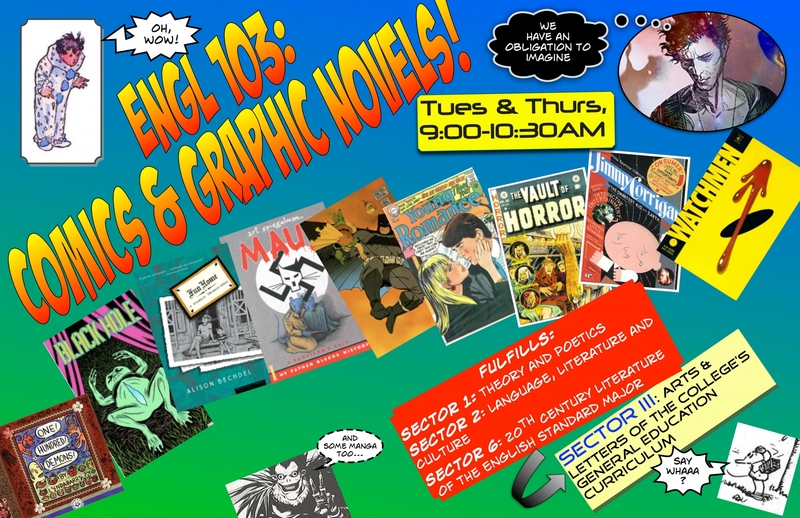 In addition, we will read selections from graphic narrative theory and comics history, beginning with Scott McCloud’sUnderstanding Comics. Assignments will include weekly blurbs on Canvas, two short response papers, and a final.